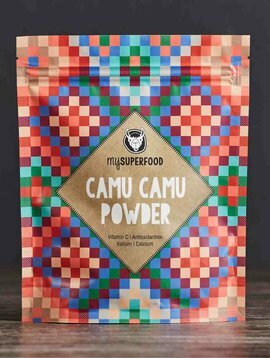 MACA – the super-root from the Peruvian Andes. Maca grows at an altitude of over 4,000 meters and has been valued for centuries by the people of the Andes as a source for energy, perseverance and fertility. 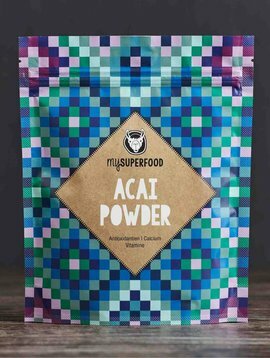 MACA powder is rich in vitamins and minerals, and works as an adaptogen to balance the hormonal system. 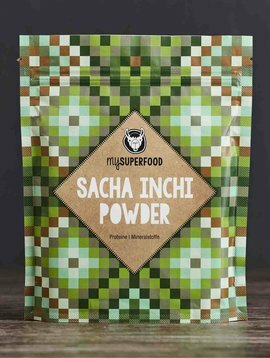 In order to be able to digest it more easily and to speed up absorption of the contained nutrients, our premium organic Maca powder undergoes an additional gentle process where the starch is being extracted. Due to its great variety of valuable nutrients, organic Maca powder is especially suited for athletes, women in menopause, students and all those who are health conscious. 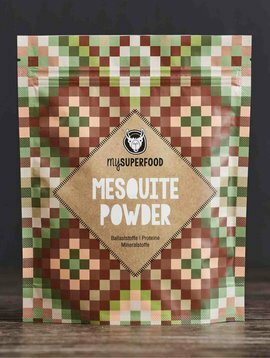 Organic Maca powder has a sweet nutty taste with hints of malty flavor. It is suited for the use in smoothies, mueslis and desserts. 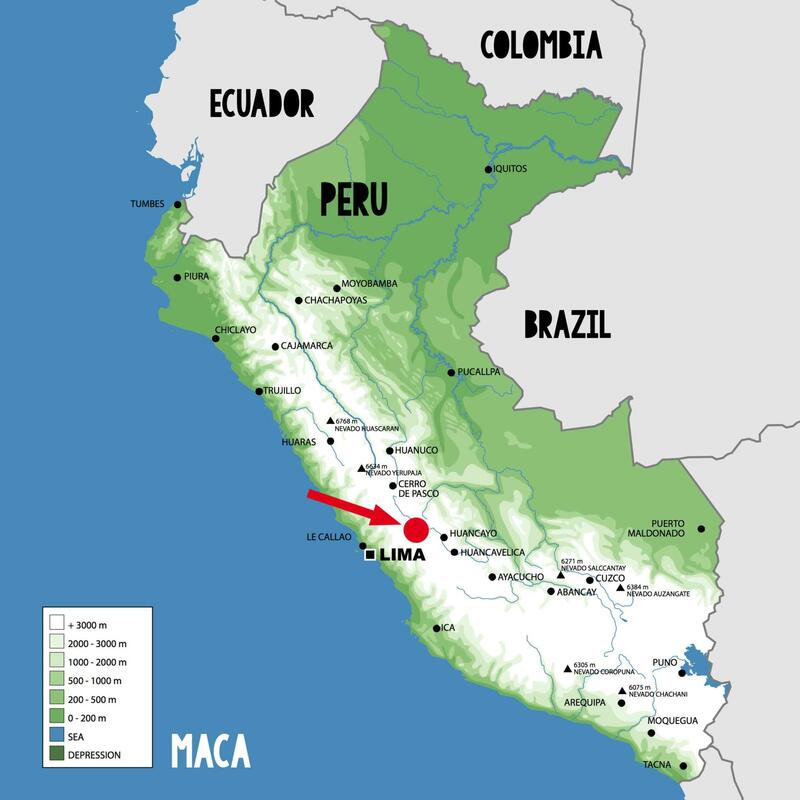 We buy our Maca Powder directly from producers in Peru: it is grown organically by small family farms at an altutude of 4.500 m near the village Huancayo (Region Junin). Maca is harvested by hand and afterwards processed very gently. Organic Maca powder is similar in nutrition to wheat, rice, and maize. 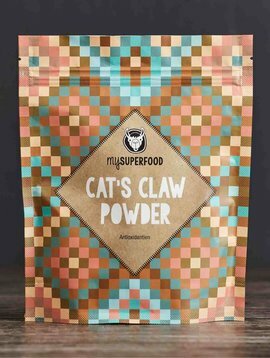 It has a high content of essential fatty acids and provides iron and calcium, magnesium and phosphor, potassium and sulphur, sodium, zinc, iodine, copper, selenium, bismuth, manganese, tin, and silicon. It also contains vitamins B1, B2, C, and E.
61% of organic Maca powder consists of carbohydrates, 12 % protein, 8.5% fiber, and 2.2% lipids. This means that Maca has a higher fat content than other root varieties. Maca is rich in immune boosting phytosterols, which have a positive impact on cholesterol levels. Maca has biologically active aromatic isothiocyanates, which work like an aphrodisiac. Arginine, the amino acid contained in the bulb, also has aphrodisiac qualities due to its impact on fertility and libido. 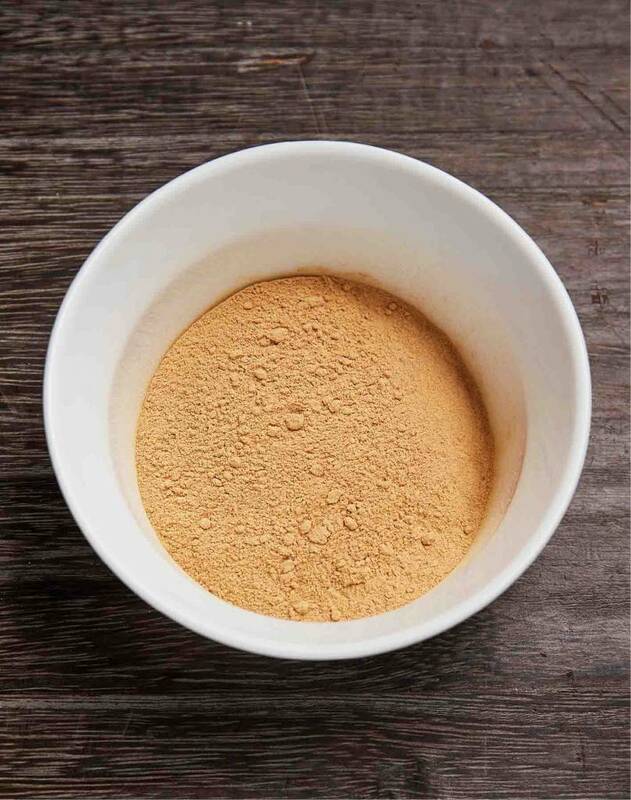 The powder of the dried Maca root is supposed to positively influence physical and mental performance, heighten psychological endurance, and help with sexual malfunctions. Maca is a highly effective adaptogen, like ginseng, which means that it stabilizes the gland and hormone systems, the nervous system, muscles, and the cardiovascular system. It improves the oxygen saturation of the blood, supports neurotransmitter production and the endocrine system, improves mood, and promotes hormone production. Because of this it helps to relieve symptoms of menopause such as sleeplessness, hot flashes, and mood fluctuations as well as to increase libido. Researchers found, that maca can heighten psychic wellbeing as well as ease the ups and downs of the hormonal system (www.ncbi.nlm.nih.gov/pubmed/18784609). The maca plant, unlike soy and yam root, does not contain any phytoestrogen. A study in 2006 showed that Maca serves well as a substitute for hormone therapy. 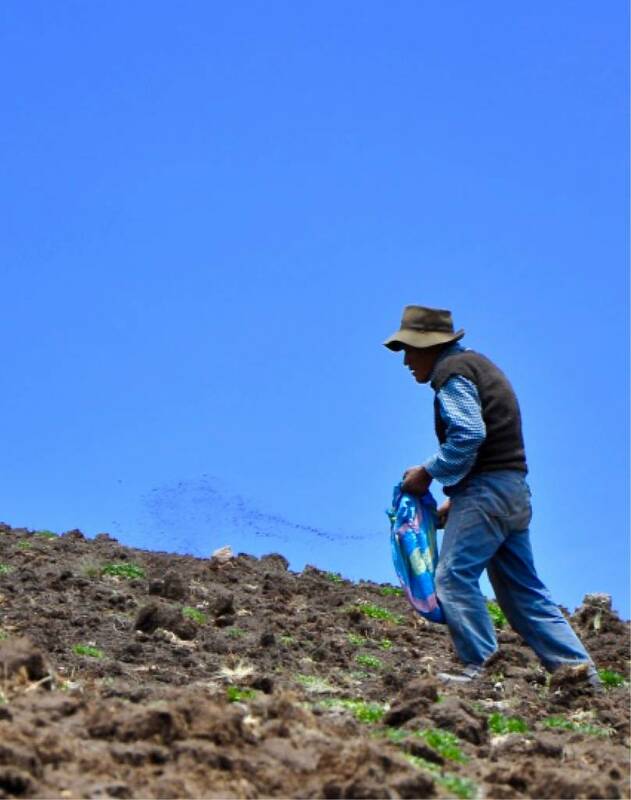 We buy our organic maca powder directly from Peru and work together with 25 small family farms near the city of Huancayo (Junin region) where they organically grow Maca at an altitude of 4,500 meters. After plowing the land by simple means, it is seeded in October / November: for 1 hectare approximately 3 kg seeds are needed. Fundamentally all three ecotypes of Maca are planted together: 60% yellow, 20% black and 20 % red. Harvest takes place from June through August – each hectare yields about 7-8 tons of organic Maca roots. After harvesting, the most important phase, which is crucial for the quality of the Organic Maca powder is carried out: the drying. Similar to cocoa production, the roots are dried in the sun and turned twice each day. A special feature is to dry the roots attached to the leaves, as the nutrients move from the leaves into the roots during the drying process for further enrichment. The drying takes approximately 25-30 days, until a residual moisture content of 10% is reached. The yield after drying is approximately 30%, meaning initially 100 kg fresh is turned into 30 kg dried organic Maca roots. For improved digestion, faster absorption and additional concentration of the nutrients, our organic maca powder undergoes an additional process of gelatinizing: This separates the starch through extraction. Finally, the dried roots are gently ground into organic Maca powder. Through direct purchase from small producers in Peru we support the livelihood of small family farms and contribute to the preservation of biodiversity so that no monocultures are created. 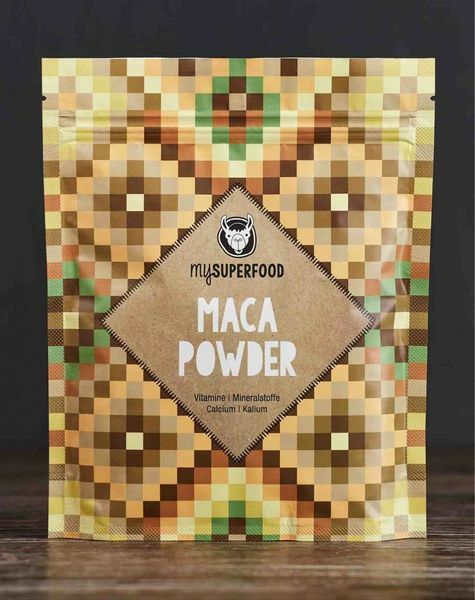 The slightly malty taste of organic maca powder is a good addition to cold or warm drinks such as milk, or it can be mixed into smoothies and muesli. 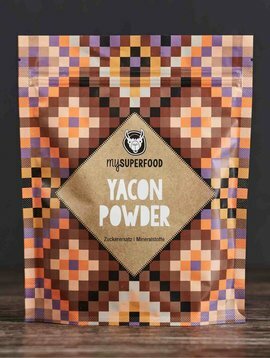 Maca works as a good emulsifier and binds fatty portions with sugar or starch, which increases the aroma. Sprinkle on top of dishes or mix in and enjoy! You can find various delicious recipes at our Recipe page. 1 - 3 x daily sprinkle or mix ½ teaspoon (abt. 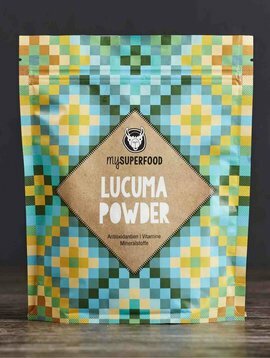 2 - 3 g) Maca powder into dishes. Do not exceed the recommended daily dosage. This product is not a replacement for a balanced and varied diet. By uncertainty please consult a specialist about the use of this product. Please keep out of reach of small children. The Maca plant is a cress plant and belongs to the cabbage family. 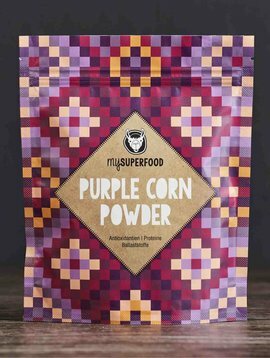 It is cultivated in Peru, where it has been used for over 2,600 years as a nutritional and medical plant. It does not get very big, at the most 20 cm. Today it is grown at an altitude of 2,000 to 4,000 meters by the descendants of the Inca, the Quechua. Maca is the only field crop that can be grown at extreme heights with constant harsh winds and intensive UV exposure. It is extremely resilient. As with radishes and turnips, the pear-shaped root is eatable. It has a diameter of 5-7 cm and reproduces by multi-year seeds. There are three different ecotypes, which are differentiated by color: yellow, red, and black. 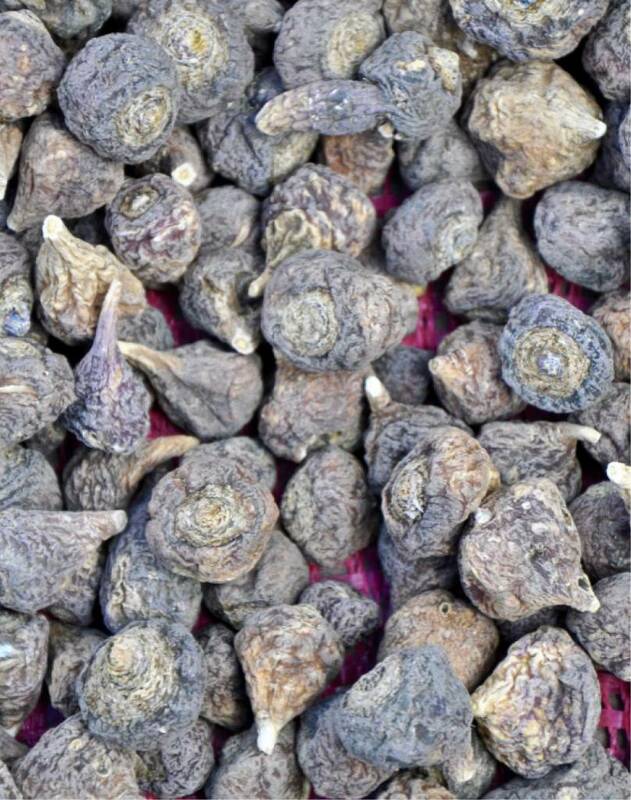 Normally it is harvested in the first year, seven to nine months after planting. The plant grows well even in frost, which is important due to the high fluctuations in temperature found in the Andes, e.g. 18 degrees Celsius during the day, and 10 degrees below 0 at night. Traditionally the root is dried and ground and used in cooking or baking. Dried roots easily retain their nutrients, and they have shown hardly any reduction in proteins even after seven years. They are brownish in color, and taste sweet and are soft. The musky flavor retains itself for up to two years. The leaves can be enjoyed raw or cooked. They have a sharp taste ad remind of the test of cress. Maca has been used to increase fertility for centuries in humans and animals. Spanish chroniclers spoke of the nourishing characteristics of the Maca root. It even functioned as currency and was used by the Incan kings to pay tribute to the Spanish as a type of tax. It is still today one of the most important traded goods in the region. 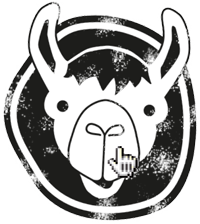 In the 20th century Maca was forgotten, and as the Peruvian department of agriculture found out, it was only cultivated on 30 hectors in Peru. Biologist Gloria Chacon de Popovici first proved through research in 1961, how much this plant increase fertility, and contributed to the rediscovery of the nutritional value of Maca. Today the Peruvian government supports the cultivation of Maca and organic Maca powder is now appreciated and in worldwide demand due to its healthy characteristics. Legal Notice: All information contained herein are general descriptions of the ingredients of this product. They come from different sources and do not claim accurateness or completeness. They are used for information only and do not allow for any inevitable conclusions about the effect of the named product.